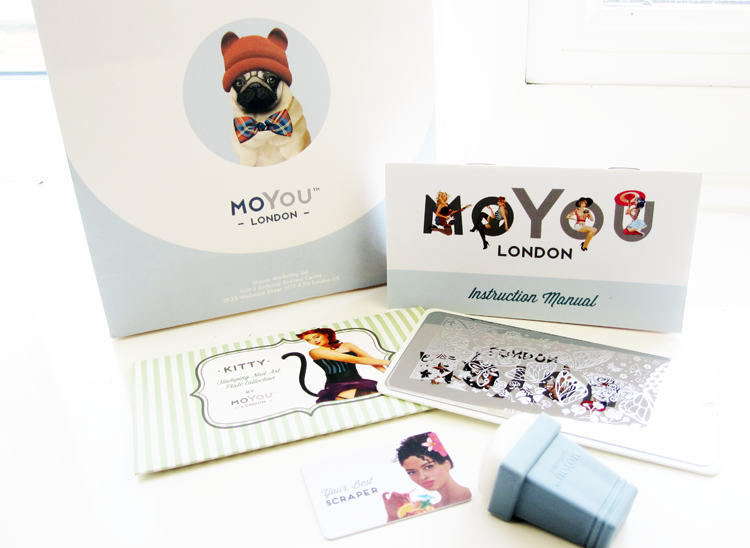 Nail art is hugely popular as a gift idea and MoYou London have an extensive and varied range of kits and stamping plates to suit everyone's tastes and budgets. 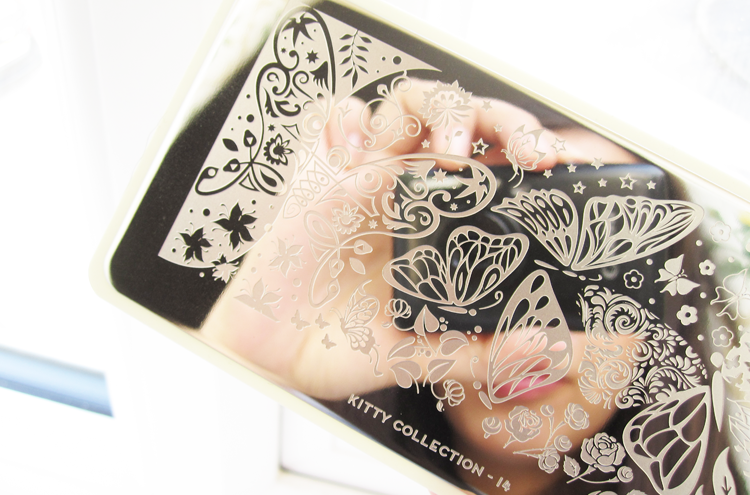 The MoYou London Stamping Plate* shown above (no 14) is from their popular Kitty Collection and features a beautiful display of different butterfly inspired designs with interspersed flowers and stars. 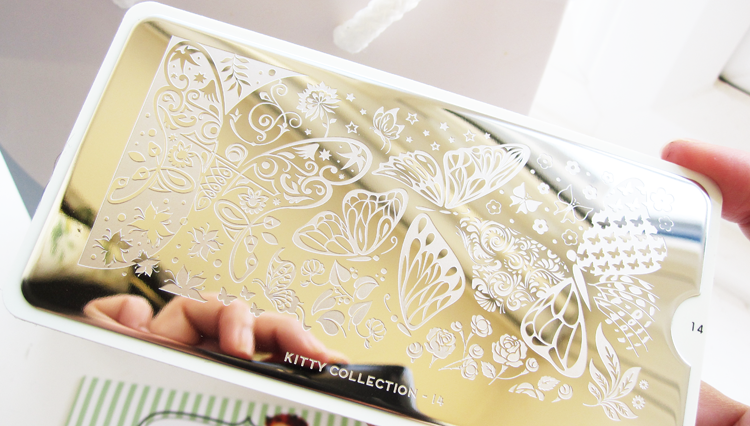 The possibilities for nail art designs with this plate are vast, so you can really get your creative juices flowing and you can even mix and match ideas using another stamping plate with it. I've found the MoYou Stamping Plates to be really easy to use (and truth be told, I'm a bit of a novice when it comes to nail art in general) - simply apply a generous amount of nail polish directly onto the design of your choice and use a scraper to remove any excess polish. Then you just 'pick up' the design using your stamp and stamp it onto your nail with a rolling motion. It's a little tricky to get it right the first time, but I find a little practice is all you need (and part of the fun!). Will you be buying any Nail Art sets this year?